Mostly level 1.77 acres in a nice country setting with fruit trees along the driveway. 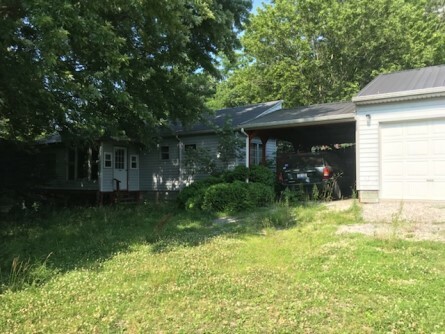 The older Mobile Home is designed with kitchen, 1/2 bath, dining area, pantry, living room, bonus room, full bath and an attached addition with work shop area. 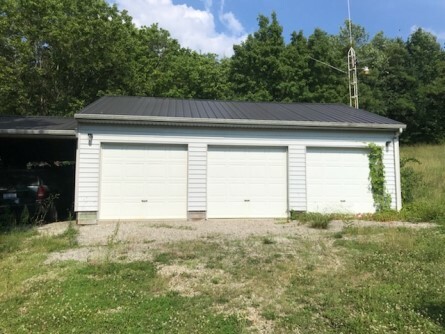 The 3 car pole barn garage consists of three overhead doors, one car lean to, and concrete floors. The second pole barn garage offers two overhead doors, entry door and concrete floors. There is Ross County Water at the road. There will be no interior access to the mobile home due to some weak floors. Here is a great opportunity to build a home or to acquire a scenic property between the beautiful towns of Bainbridge & Greenfield. Real Estate Terms: $6,700 Minimum Bid; $5,000. down at time of sale cash or check, Balance & Possession upon delivery of deed at closing on/before August 17, 2018, Sold As-Is, No buyer's contingencies exist; taxes prorated to closing date. Taxes & Legal: Ross Co. Auditor indicates Annual Taxes are $218.20 (Homestead); Ross Co. Parcel No. 201006167000. The Gary L. Hughes Estate, RCPC 2017-E-258, Chrystal Morris, Administrator; James K. Cutright, Atty.